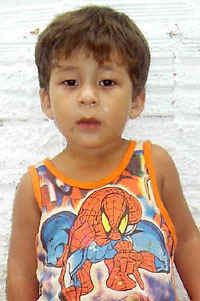 Last month I "lost" my first Compassion child when Pedro's family took him out of the program in Brasil. Up to then I didn't realize that this sort of thing happened. 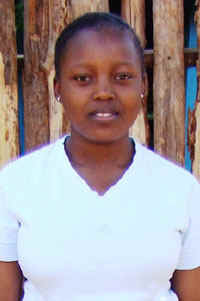 I assumed that when you agreed to sponsor a child that child was yours until s/he completed the program. It was kind of a shock to lose Pedro, since I had sponsored him for two plus years and had exchanged some nice letters with him. He drew great cars and I was always looking for car-themed things or drawing-related things to send to him, to encourage him to keep on drawing. Compassion assigned me Henrique (also from Brasil) to replace Pedro. I generally prefer older children for two reasons -- one is that they have a harder time finding sponsors after they turn 10, and two, you can actually write to them and not a translator. Henrique is only 4 and it will be several years, I'm sure, before I will actually know much that hasn't been spoon-fed to him and then put in a letter and translated for me. But anyway, I got through the upheaval of losing Pedro and I even requested another correspondence child, someone who has a sponsor but whose sponsor doesn't ever write. I essentially become the sponsor of record for the child. 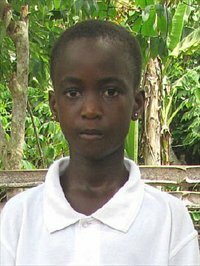 There was a time when three was the maximum correspondence children you could have but after the loss of Pedro and some unhappiness I had about how Compassion handled it, I requested another correspondence child and was assigned Murugi, who is 18 and from Kenya. She is unusual in that the church that her program is attached to is actually Episcopalian. Most of the other children seem to be Baptist. I think she's the first one who is an Episcopalian. Also, as she is an older child, her family duties are more complex: gardening/farming, cleaning, animal care and kitchen help. Her hobbies are soccer, volleyball and listening to music. She lives with her grandmother. Her father supports her but there is no mention of a mother and it specifically says there is no male in the house. It will be several weeks (or possibly months) before I actually hear from her. I am assuming I won't be writing to her for too long, since she is 18 and will leave the program within a couple of years. And then, without warning, Victor in Bolivia was also removed from the program by his parents. This one doesn't hurt and it doesn't surprise me. 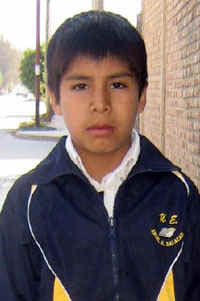 I took him on as a sponsored child about five months ago and have written to him regularly 1-2 times a month, but have not had a single word from him or anybody at his Compassion center. So hearing that he was leaving the program didn't surprise me or leave me with the same big dent in my stomach that learning that Pedro had been taken out of the program did. The note I got from Compassion was that I should call them and let them know if I was willing to accept the child they had assigned to me as a replacement for Victor. 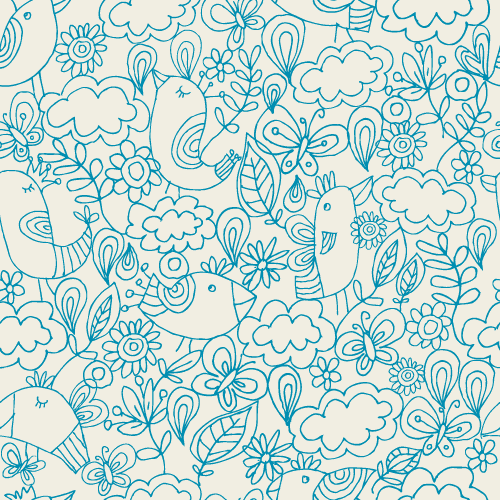 But I got the note on a Friday and couldn't call Compassion until the offices opened on Monday, so I mucked around on the site a bit in the meantime, looking for my two criteria...an older child, and one who had been waiting around for awhile. I quickly passed by the picture of this little boy and checked the girls that were available (there were not very many girls...and I kind of prefer writing to girls than writing to boys). But when I came back to this guy and looked at his name again, I saw it was Emmanuella. This is a girl, which is a little easier to see in a headshot. You can see (barely) that she appears to be wearing earrings. Did you know that they shave the heads of everybody in many African countries because it's the only way to keep an insect infestation from settling in? Sounds very efficient! 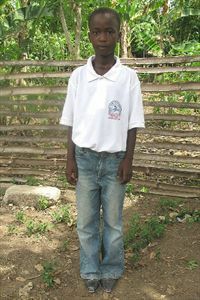 Anyway, in addition to being a girl, who is 11 years old, she has also been waiting more than six months for a sponsor. I had to take her. The next time I see a photo of her, I want to see a smile on that face and maybe some clothes that fit and look a little more girly. And maybe a little more meat on her bones--or is that asking a lot from a yearly photo? I'm starting to think of my children as a bit more temporary now that I know they can disappear in an eyeblink (which shouldn't surprise me because my very first sponsored child, Hyun Joo in Korea, whom I sponsored in the 1960s, was my sponsored child for about 5 years and then suddenly, without warning, I was told her father got a job and I would not longer be needed. No goodbye or anything). But I'm happy with my little family of 10 at the moment and will do what I can for as long as I can. Oh, but by the way, while were talking about a "family update," I don't think I've mentioned (and if I already did, I apologize) that Brianna is going to have a sister in a couple of months. I was sworn to secrecy for such a long time that I just never got around to mentioning it here. Needless to say we are very happy about it! 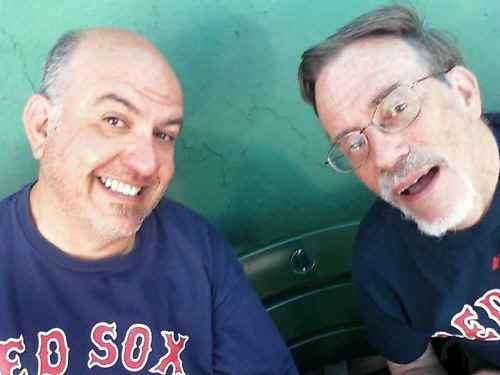 Walt got home from Boston tonight, where he has been all week.